Complete your continuing education to renew your Wyoming real estate license today. All of our courses can be completed At Your Pace online in order to help you maintain your license. Once you finish your class you will have an official certificate of completion available and we will report your course completion to the WY Real Estate Commission for you automatically. 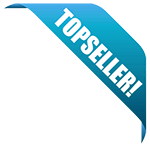 We are an approved online CE provider by the Wyoming Real Estate Commission as 1Attempt (At Your Pace Online). Wyoming Real Estate Licensees are required to obtain continuing education by December 31st every three years in order to renew their license. This 12 hour package is designed to provide Wyoming real estate professionals with an overview of topics such as ethics, errors and omissions, fair housing, agency and more! This 9 hour package is designed to provide Wyoming real estate professionals with an overview of topics and concepts such as the provisions of the National Association of REALTORS® Code of Ethics, mathematics and real estate calculations and more! This Wyoming real estate continuing education course is approved with the Wyoming Real Estate Commission, and satisfies 8 hours of Mandatory CE for Wyoming licensees in the area of laws, professional ethics, brokerage relationships, and contract formation. This Wyoming real estate continuing education course is approved with the Wyoming Real Estate Commission, and satisfies the Required 8 hour Broker Management continuing education requirement for all Wyoming responsible brokers. This 7 hour course is designed to provide Wyoming real estate professionals with an overview of important topics and concepts related to the ownership and management of real property. This package covers topics such as basic property law, legal descriptions of property, land use controls, valuation of property, investment in real estate and property management. This 7 hour course is designed to provide Wyoming real estate professionals with an overview of important topics and concepts related to the management of a real estate business. This topics covered in this package generally fall into three areas: management of real estate business, recordkeeping, and safety when showing a property. This Wyoming real estate continuing education course is approved with the Wyoming Real Estate Commission, and satisfies 4 hours of Mandatory CE for Wyoming licensees in the area of Inspections and Disclosure. This Wyoming real estate continuing education course is approved with the Wyoming Real Estate Commission, and satisfies 4 hours of Mandatory CE for Wyoming licensees in the area of Marketing, Advertising, and Social Media. This Wyoming real estate continuing education course is approved with the Wyoming Real Estate Commission, and satisfies 4 hours of Mandatory CE for Wyoming licensees in the area of Risk Management and Legal Compliance. 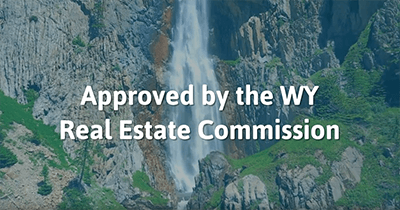 This Wyoming real estate continuing education course is approved with the Wyoming Real Estate Commission, and satisfies 4 hours of Mandatory CE for Wyoming licensees. Thank you for completing a Continuing Education Course Application. Your course has been approved and will expire 11/03/2020. The Wyoming Real Estate Commission is happy to have you as a continuing education provider. Thank you for completing a Continuing Education Course Application. Your course has been approved and will expire 09/07/2020. The Wyoming Real Estate Commission is happy to have you as a continuing education provider. Thank you for completing a continuing Education Course Application. Your course has been approved and will expire 03/15/2020. The Wyoming Real Estate Commission is happy to have you as a continuing education provider and would like to introduce you to our online class attendance program. Real Estate Licensees will be able to access the GL system to view/print a list of thier completed continuing education credits. The Commision has entered your business and your approved course. To access the GL System you will need to visit Wyoming Real Estate Commission website. Under education and classes information for instructors. You need to create an account. Once you have created an account, you will be able to log on to the GL site from this location each time you need to upload a class. You will have ten (10) days after the completion of a course to enter all of the required records into the online GL site. If you have any quesrtions, please do not hesitate to contact our office. Wyoming 7 Hour Real Estate Property Management 7-hour course. Thank you for completing a Continuing Education Course Application. Your course has been approved and will expire 11/29/2019. The Wyoming Real Estate Commission is happy to have you as a continuing education provider and would like to introduce you to our online class attendance program. Real Estate Licensees will be able to access the GL system to view/print a list of their completed continuing education credits. The Commission has entered your business and your approved course. To access the GL System you will need to visit the Wyoming Real Estate Commission website. Under Education and Classes Information for Instructors. You need to create an account. Once you have created an account, you will be able to log on to the GL site from this location each time you need to upload a class.